Toxic stress and caring adults | KaBOOM! The future of the United States is dependent on our ability to promote the healthy development of our children. However, one of the major barriers to healthy development — particularly for the 14 million children living in poverty — is toxic stress. So what is toxic stress? When we are threatened, the body releases emergency stress hormones such as cortisol and adrenaline that prime us to handle the stressful event. In mild doses, the activation of this response is beneficial to child development, as learning how to cope with certain types of stress is critical. 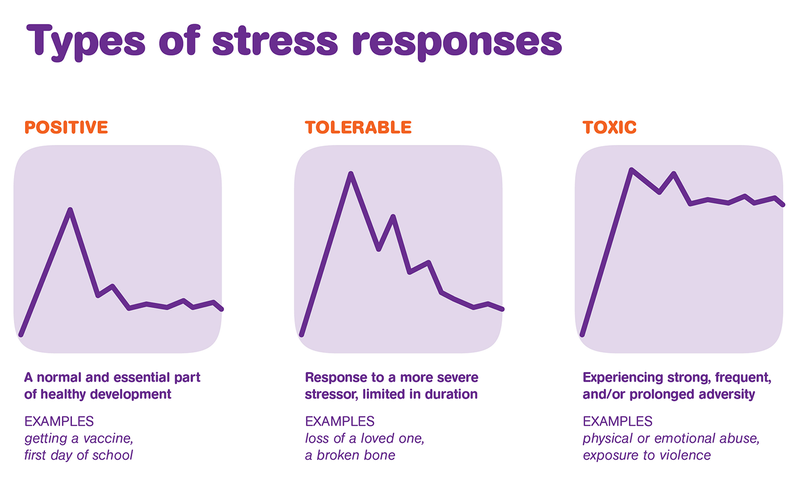 With this in mind, it is important to note that stress responses can be classified as positive, tolerable, or toxic. This classification depends on the effects the stressor has on the development of mental and physical health — not on the stressor itself. A positive stress response is a normal and essential part of healthy development, characterized by brief increases in heart rate and mild elevations in hormone levels. A tolerable stress response activates the body's alert systems to a greater degree as a result of more severe, longer-lasting difficulties. If the activation is time-limited and buffered by relationships with adults who help the child adapt, the brain and other organs recover from what might otherwise be damaging effects. A toxic stress response can occur when a child experiences strong, frequent, and/or prolonged adversity without adequate adult support. This kind of prolonged activation of the stress response systems can disrupt the development of brain architecture and other organ systems, and increase the risk for stress-related disease and cognitive impairment, well into the adult years. Children growing up in low-income households not only face a greater likelihood of being exposed to strong, frequent, and/or prolonged adversity – but the adults in their lives are often exposed to significant adversity as well and, therefore, are not as well-positioned to mitigate the harm of these stresses in their kids’ lives. When toxic stress response occurs, it can have a lifelong detrimental effect on physical and mental health, increasing the likelihood of developmental delays in childhood, compounded by additional problems including cardiovascular disease, diabetes, substance abuse, and depression throughout life. 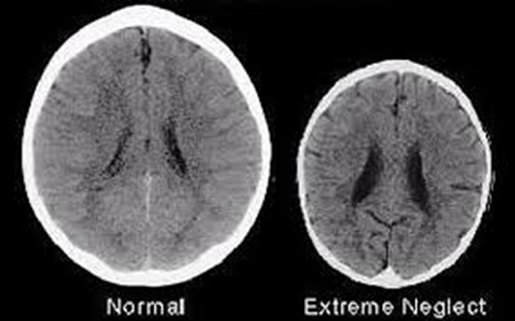 These detrimental effects can make it even more difficult for kids growing up in poverty to break the cycle. The American Academy of Pediatrics has repeatedly stated that play provides a critical time for parents to be fully engaged with their children, to bond with their children, and to see the world from the perspective of their child. Thus, play is a part of the solution to creating the supportive, responsive relationships with caring adults that research has shown can help prevent the detrimental effects of toxic stress response. "The quality of a caregiver's interaction with a child is a key building block for healthy emotional, social and physical development. Some of the best ways to support a child's health and development involve simple things like talking, laughing, taking time to play with a child one-on-one and just slowing down to spend time together." We also know that play is a great opportunity to develop resiliency and grit in children, as they fall and pick themselves back up. It is their first opportunity to learn how to confront a challenge and overcome it in a safe environment. Toxic stress is an economic, social, and moral issue that jeopardizes the health and well-being of our kids and the success of our society. The positive relationships and resiliency skills fostered by balanced and active play make it one of many tools for protecting against toxic stress. We can help transform potentially poisonous experiences into uplifting ones by equipping our children with the supportive relationships and creative outlets they need to cope with stress positively. By understanding and acting upon the societal importance of play, we can prepare our children for a lifetime of success by building healthy minds and bodies, and in turn, healthy communities. To learn more, watch Dr. Bob Block of the American Academy of Pediatrics speak on this topic at the 2014 Playful City USA Leaders Summit, Sponsored by Humana. Learn more about the efforts and partnerships KaBOOM! makes to help begin the rebuilding and healing processes for kids and families in disaster-impacted communities .